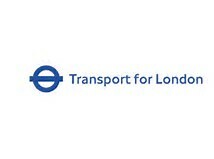 We are delighted to offer our members the opportunity to visit the Transport for London Control Centre. The visit will include a presentation and an overview of functional areas such as Incident Response, Network Operations and social media. There will be lots of opportunity to ask questions so it should be a really informative and interesting morning. This event is only available to Women in Transport members and numbers are limited to 15. Please note that the visit will be hosted in the Viewing Gallery, adjacent to the Control Room Floor. We will be able to see what's going on but will not be allowed to enter the control room itself. Thank you for adding your name to the waiting list for this event. We will get back to you if a place becomes available.